Have you ever wanted to stick it to The Man? 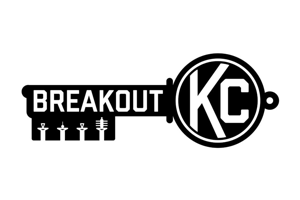 Well get ready to commit the ultimate rebellion: The Escape Game’s Prison Break room delivers nothing short of an exciting, heart-pounding, prison break! The staff of The Escape Game is absolutely fantastic. You’re met with a big ol’ warm Texan greeting, and each of the Game Masters are incredibly well-rehearsed and friendly. When you’re game is about to start, you’ll be led down an incredibly long corridor of red doors to your escape room. While the lobby of The Escape Game is fairly small, with only two benches for seating, an entire food court is just outside its doors, ready to serve you if you are waiting for your game to start. Merchandise lines a display shelf on the wall, with exclusive shirts only being available to escapees of enough rooms. If an improvement could be made to the lobby, it would be the awkward user interface of the electronic waiver forms. The hardest escapes (as TV has taught us) are always prison breaks. The more elaborate and unrealistic, the better. You and your fellow prisoners are locked in two separate cells. You’ll need to work together, without being able to see each other, to get yourselves out and away from whatever sinister plans the warden has in store for you. Luckily, the prison’s previous convicts have left behind a trail of clues to help you escape this fate. The entire escape room’s decoration and construction is impressive. The rusty, worn, prison cells are convincingly gross and neglected. The props are bare (as they should be) and reflect the barren state of your situation. As the game progresses, the room begins to tell parts of the story without needing words — the hallmark of a well thought out game. The Warden’s office is luxurious, almost mockingly so, when compared to the prison cells. The room perfectly reflects the personality of a vain, sadistic man. The attention to detail is so well done in Prison Break it extends literally to the glass pane of the final door. The immersive experience was limited mostly by the physical space, although the room quality really does a fantastic job of setting the scene. The story progressed as the expected, but not without the room’s own surprises and twists thrown in along the way. Many of the props were lovely touches that really tied the whole room together. 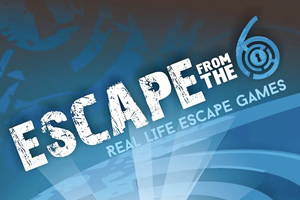 Not all of the puzzles were themed as well as they could’ve been; it may be due to the difficultly of the puzzles, but some of the more ‘abstract’ puzzles seemed out of place compared to the excellent theming of The Escape Game’s other two rooms. It’s easy to see why Prison Break is the hardest room at The Escape Game. Being separated from half your group and unable to see them already serves as a challenging communication puzzle. It can be hard to balance the progression of two teams in two different rooms at once. Teams may be left wondering if they are missing something on their own side, or if they were stuck waiting on a clue from the other team. Many of the puzzles need to make logical connections that are one step further than those found in The Heist or Gold Rush. A few bottlenecks arise from the sheer difficulty of the puzzles. Experienced escapees can seriously challenge themselves with the puzzles in Prison Break. Escape games that start with unique scenarios are always fun to play out because the offer such a novel experience. Teams who really want to play off their communication skills will have a fantastic time in Prison break. Many of our team members were absolutely in love with the experience afterwards, despite how difficult the game was.